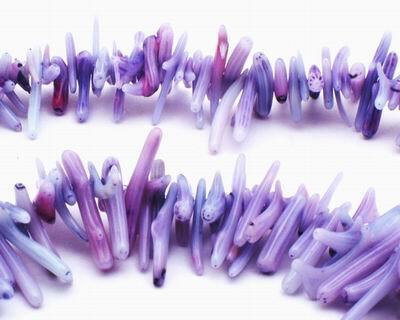 Price is per 16-inch strand of these beautiful beads - largest average size is about 14mm x 1mm. Genuine Chinese coral, dyed lavender (color does not come off! ).